Today’s freebie is dedicated to Mobile App developers & designers. Once you have completed a Mobile app for iphone / iPad / Android, Its a must to have an App Presentation Landing page to attract users to download your app. 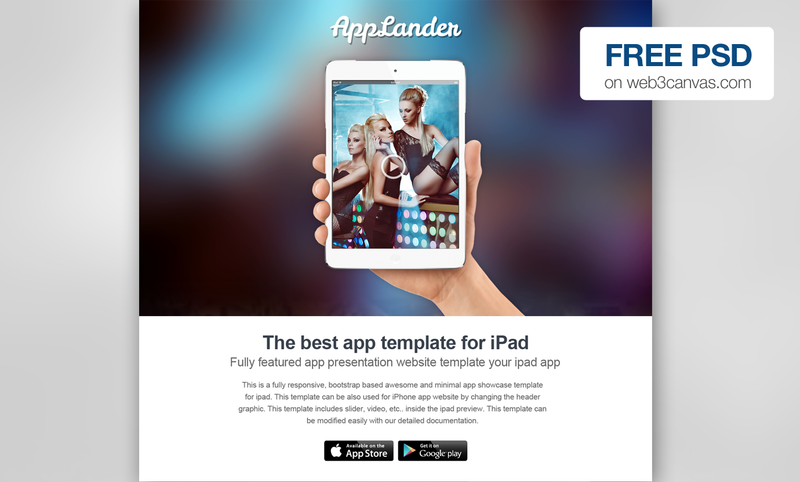 This AppLander – Free PSD Web Template is loaded with many features that must be useful to get more leads. So why are you waiting? Free download PSD Web Template / Landing page template. Also, Share it with your friends if you like it.